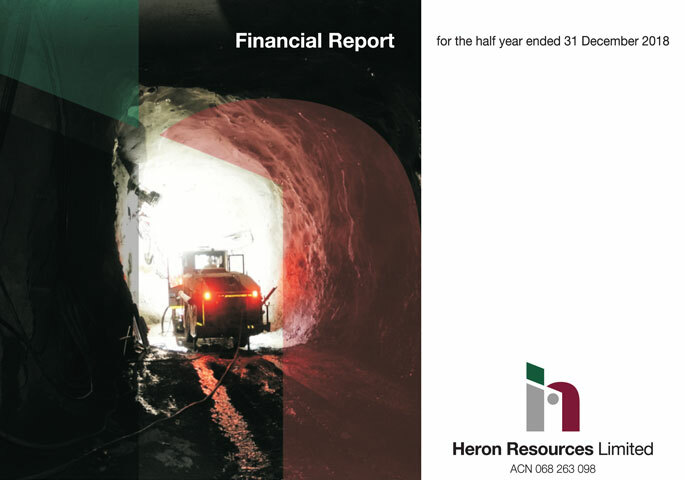 Heron Resources Limited is engaged in the exploration and development of base and precious metal deposits in Australia. 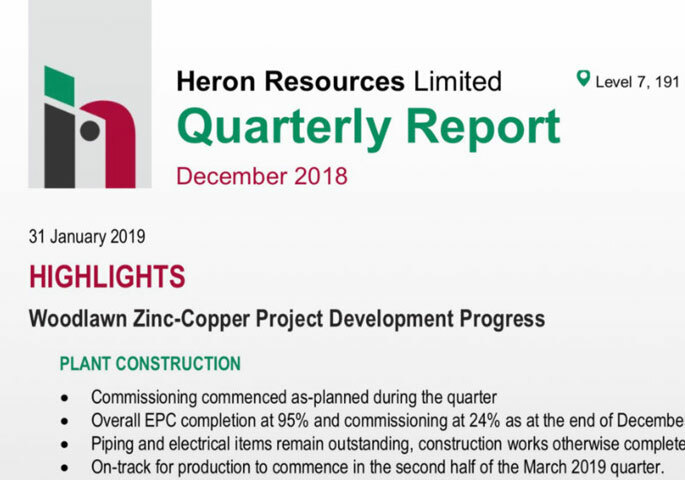 Heron’s primary focus is on its 100% owned, high grade Woodlawn Zinc-Copper Project located 250km southwest of Sydney, New South Wales, Australia – one of the few new zinc projects that is fully funded to production. 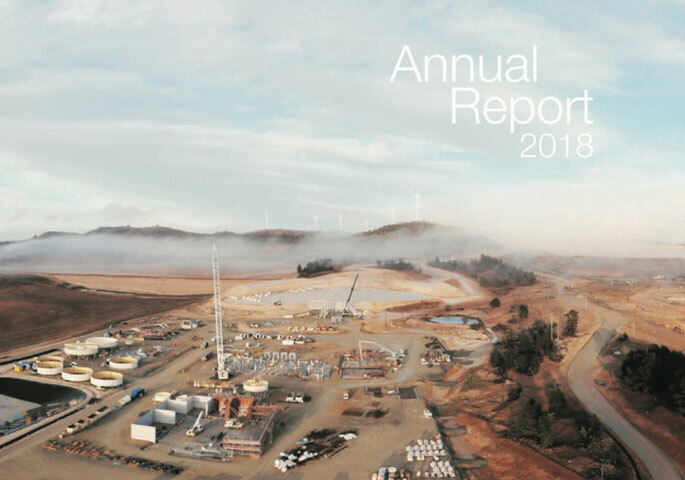 With production due in early 2019, this places the Company on track to participate in the pricing environment supported by a strong zinc physical market. In addition, the Company has a number of significant high quality, base and precious metal tenements regional to the Woodlawn Project. Read more about Zinc and Copper. Stock and resource prices are sourced from a third-party data feed.